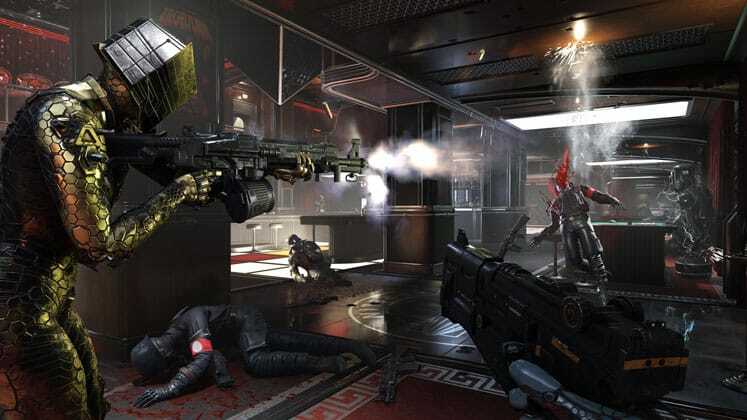 Today, Wolfenstein is known for popularizing the first-person shooter genre. First with Wolfenstein 3D, the first entry in the series to be developed by id Software, which ditched the top-down, stealth-based design of the original Castle Wolfenstein in favor of a more action-focused, first-person experience. Later on, developer MachineGames would create The New Order and 2017’s The New Colossus, two of the most critically-praised entries in the series. Although the property has seen multiple iterations from a wide range of developers, there have always been a few core elements that make up a Wolfenstein game: Nazis, guns, and BJ Blazkowicz. 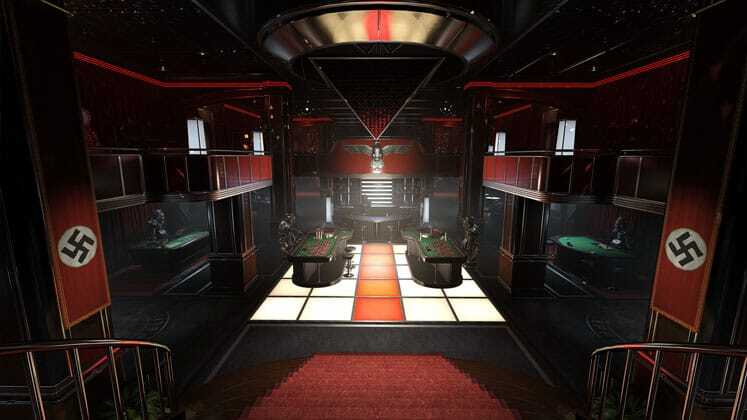 Wolfenstein: Youngblood, an upcoming spin-off title developed by MachineGames, looks to offer a fresh perspective on the classic formula that fans have grown to love and include two-player co-op for the first time. So we’re here to discuss all the news surrounding Youngblood and what you can expect, as well as some popular rumors that have been circulating online. Make sure to check back as we’ll be updating this story in the future. First announced at E3 2018, Youngblood was given a ‘2019’ release window which has recently been confirmed for July 26. The game will be available on PC, Xbox One, PS4, and Switch. Anyone pre-ordering the game will receive the ‘Legacy Pack’ bonus content, which includes character and weapon skins inspired by previous Wolfenstein games. Additionally, anyone purchasing the Deluxe Edition of the game will receive a Buddy Pass that allows them to invite a friend to play the entire game with them in 2-player co-op, even if they don’t own a copy themselves. The Deluxe Edition also comes with the ‘Cyborg Skin Pack’, which includes a custom metallic skin for your character and weapons as well as an armor-boosting pep signal. Anyone purchasing the game on Switch will receive a digital download code for Youngblood and not a physical cartridge. This applies to both the base and Deluxe Edition. Youngblood is set about two decades after the events of New Colossus and sees series’ main protagonist BJ Blazkowicz missing in action after being assigned to a mission in Nazi-occupied Paris. Concerned about their father’s disappearance, twin sisters Jessica and Sophia decide to take matters into their own hands and use their years of training to track BJ down. Along the way they’ll come across other rebels fighting for freedom and witness firsthand how cruel and twisted the Nazis can be in this alternate version of 1980s Paris. Some characters will be making a return appearance, including Grace Walker, the leader of the American Resistance in New Colossus and Anya Oliwa, BJ’s lover and mother of Jess and Sophia. Lastly, Abby Caldwell, who first appeared as an infant in New Colossus, has now grown up to become an ally of the Blazkowicz twins and will help them liberate France and find their father. Although Youngblood has always been presented as a standalone experience, the fact that it takes place between the events of The New Colossus and Wolfenstein 3 means the game will probably set-up the story for the next main installment. 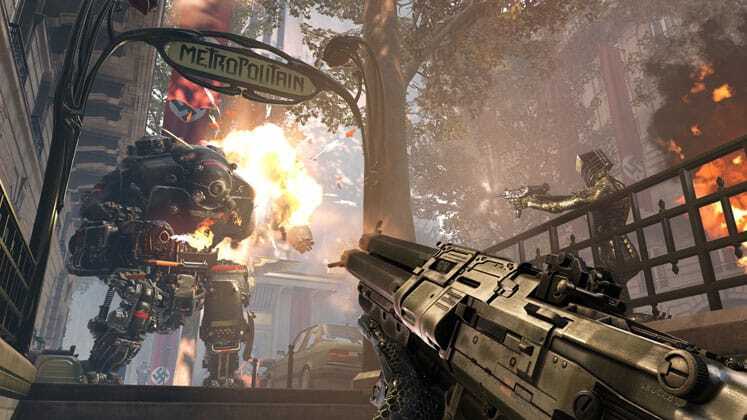 Youngblood will utilize many of the same mechanics as previous Wolfenstein games, mainly drawing from the most recent entry, New Colossus. Aside from Youngblood’s new setting, the biggest change is the fact that the game can be played in either two-player online co-op, with each player controlling one sister, or solo with an AI companion. Both characters seem to specialize in different styles of combat, with one preferring to fight at close-range and the other from long-range. However, we don’t expect the game to lean too heavily into this concept and allow both characters to still be useful for a variety of playstyles. 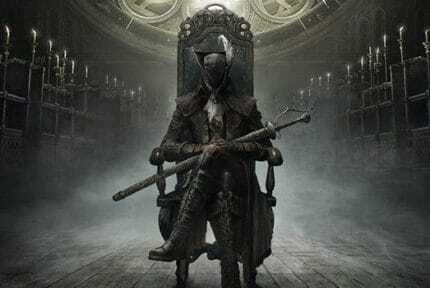 What a lot of fans are most curious about is how the single-player version will function and whether it will allow you to swap between characters between or during missions. Since we haven’t seen Wolfenstein presented as a co-op experience ever before, it’ll be interesting to see how its inclusion affects gameplay. We imagine it’ll stay fairly close to the traditional formula and still see you running around blasting Nazi’s heads off with the added perk of having a friend to help take down beefier, armored enemies. The Wolfenstein games have been heading down a more fast-paced, bloody, Doom-inspired path when it comes to combat and Youngblood looks to continue that trend. The addition of co-op will also definitely have an impact on Youngblood’s difficulty in comparison to previous titles. Since you’ll have an extra gun on the battlefield, expect tougher enemies to appear in larger quantities. We’re hoping the game also finds ways to encourage teamwork by implementing combo mechanics or mission objectives that require synergy and communication. From the trailer, we can make out a couple notable returning weapons from previous games, like the Laserkraftwerk, the part-laser cutter part-laser rifle weapon that’s appeared in both New Order and New Colossus. It seems like BJ’s passed the gun down, with it appearing to be one of the daughters’ main weapon of choice. Other returning weapons include the Dieselkraftwerk super-weapon, the other sister’s main weapon, Sturmgewehr, a powerful assault rifle, and the triple-barrel shotgun Schockhammer X along with its heavier variant the Hammergewehr. Youngblood will also feature some new weapons like an Uzi submachine gun as well as a powerful Magnum pistol that can shatter enemies’ heads with just one shot. Another new weapon that has us excited is the Elektrokraftwerk, a powerful Tesla-based gun that fires a stream of lightning bolts which can disable robots and damage multiple targets at once. The advancements in tech in Youngblood seem to have spread to armor as well, since in the trailer we can see both twins wearing slick body armor that resembles the Da’at Yichud super-suits from previous games. These new suits look like they can take a lot more of a beating and perhaps even augment the twins’ abilities. It seems like you won’t have to worry about getting tired of looking at the same suit either as players will be able to purchase additional skins for their character and weapons in-game. Wolfenstein has been around for almost 40 years and it doesn’t look like Bethesda has any plans to slow down development for new entries, including ideas for spin-off titles. If anything, Youngblood shows their interest in broadening the property’s reach to cover other genres. The addition of online co-op feels like a refreshing idea for a series that’s always maintained itself as a single-player experience. Youngblood will allow fans of the series to work together for the first time, and get one step closer to defeating the Nazi regime once and for all. Whether the standalone title will be able to live up to the Wolfenstein name or collapse under its multiplayer-driven formula is yet to be seen. For now, all we can do is wait until Wolfenstein: Youngblood releases later this year. If you’re a fan of first-person shooters, check out our list for the Best Modern FPS Games to Play in 2019.